Welcome to Vintage Powder Room Cinema! 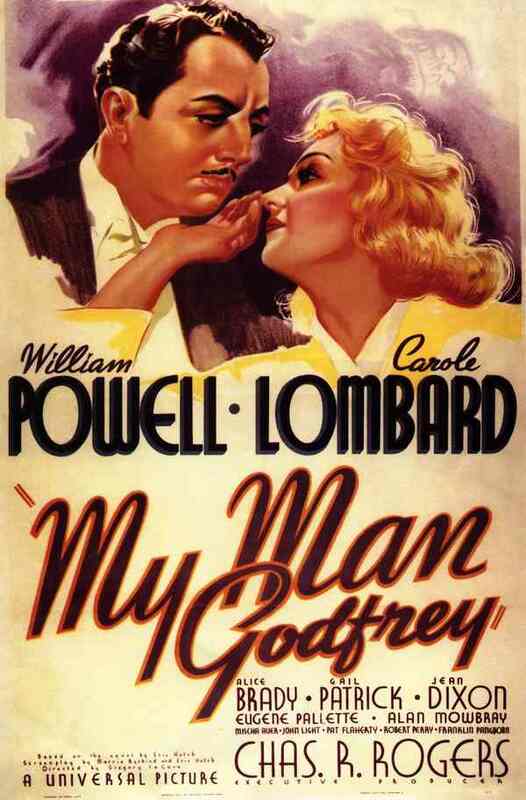 This week’s feature is MY MAN GODFREY starring William Powell and Carole Lombard. On the eve of their mother’s charity scavenger hunt, which requires competitors to capture a useless animal, spoiled socialite sisters Irene and Cordelia Bullock compete to capture a goat. Irene follows the goat to the docks, where an apparently vagrant man surprises her. He covers her mouth to keep her from screaming, but when he lets her go, she calmly asks after her goat. Charmed by Irene and eager to avoid police detection, the man introduces himself as Godfrey, and helps her outsmart Cordelia by returning to the party with her as her “animal.” Irene’s flighty mother Angelica presides over the chaos at the contest headquarters, while Alexander, her gruff father, looks on in distaste. Upon seeing Godfrey, the crowd roars its approval and Irene is declared the winner. 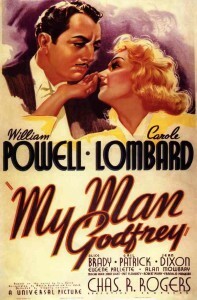 Flushed with her triumph over Cordelia, Irene follows Godfrey into the crowd and offers him a well-paying job as the family butler, intriguing him further by noting that his bearing reveals him to be a gentleman.